I thought of the idea for these as I was lying in bed last night trying to go to sleep. They are good for large parties, or people like me, who re-decorate about once a month! These are so easy to make, and the possibilities are endless! It's also something fun that you could do with your kids. These are some Poppy ones that I whipped out, I really like them! 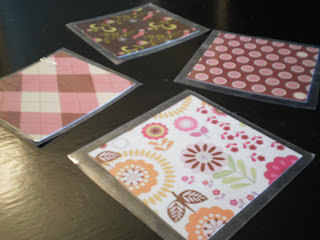 Then cut some peel-and-stick laminate into 4" squares. Two squares for each coaster. 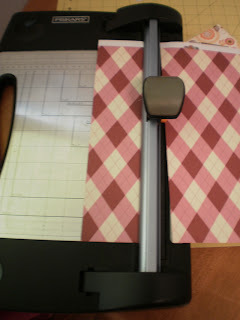 Peel the backing off of one square of laminate, and lay your scrap booking paper in the center. 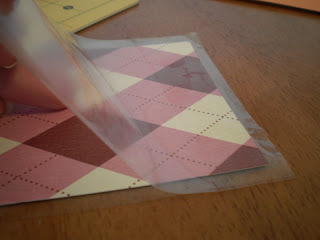 Then peel another laminate square, and carefully match it up on top of the bottom one (you really only get one shot at this because it's pretty sticky! 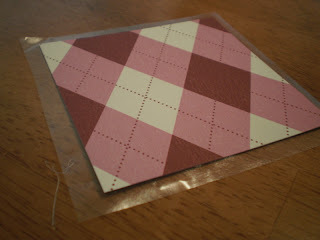 ), then carefully smooth it onto the rest of the square. 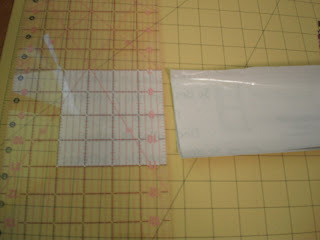 Then trim the edges, and your done! 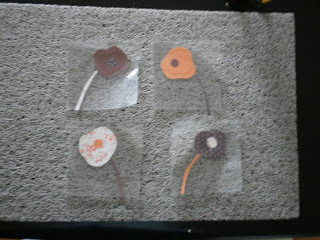 * If you're making cut-out ones like the Poppies I made, you'll probably want to flatten them in a book for a while.